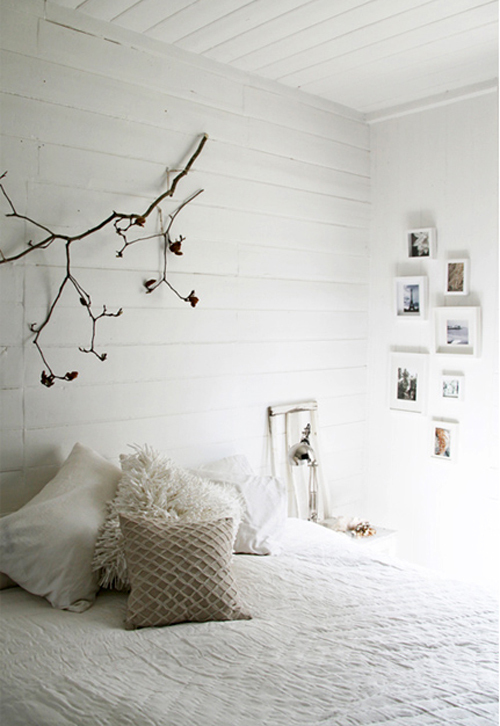 Today I’m loving … this serene bedroom with a beautiful branch as wall decoration. You can see another example of a branch as decoration here. This looks like a perfect place to sleep and dream. I love the bright light! Inspiring. I’m longing for spring. You may like to check it out because I had so much fun doing it. It’s got a bit of everything fashion, interiors, food, travel spots – hopefully you will find something in there that you like. Thanks for providing me with such great entertainment! Very fashionable and great use of wood on he walls and the ceiling. Fantastic inspiration.